Now we’ve long grown accustomed to ignoring travel warnings from people who don’t travel. But this was different. The people saying these things had recently visited Vietnam personally. Their stories also corroborated what we had read from several well-known travel bloggers. Surely there must be some truth to all the griping. So we arrived in Hanoi armored with expectations. We were ready to be ripped off. We were prepared to be pestered. And we steeled ourselves against the meanness we were sure to encounter at every turn. But armor is a complicated thing. It keeps you safe by keeping you distant. And so it was with us, at least initially. We were so prepared to protect ourselves from every conceivable scam that we met each act of kindness with an equal measure of distrust. It was only after several such kindnesses – like the guy who helped us buy stamps at the post office; the person giving up a stool at a cafe so Shannon and I could sit together; the smiling boy on a scooter who correctly pointed us past a sea of impostors to the legendary food stall we sought; and all the generally smiling faces that greeted us most everywhere we went – that we began to loosen up. After a couple of days we had let our guard down to such a degree that we made the rookie mistake of allowing a street vendor to pile our plates high with food before agreeing on a price. That’s typically a recipe for getting fleeced. And in Vietnam, we were warned, the standard overcharge for westerners is about 500%. We were ready to get gouged. 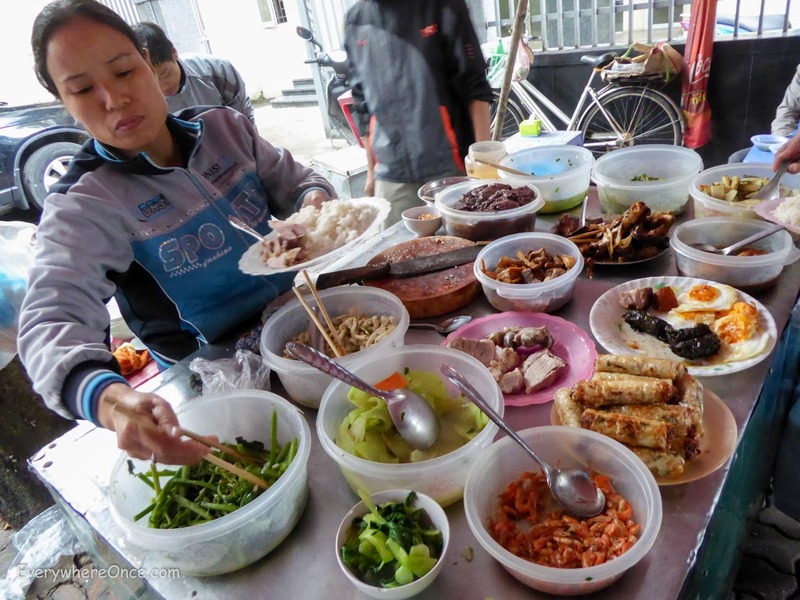 And sure enough, the asking price for our lunch came to a whopping 55,000 Vietnamese Dong! We were stunned. We knew we left ourselves vulnerable when we bought something without first establishing the price, but never did we think that two huge bowls of meat, rice and vegetables and two big bowls of soup would cost us a total of about two dollars and sixty cents. That’s right. Having already given us our food the merchant could have asked any price imaginable. And what she charged us was a little over a buck a piece for lunch. And that was pretty representative of our entire experience in Hanoi. The people we met were fair and honest and, above all, friendly. We were quoted consistent prices everywhere we went. Nobody tried to shortchange us or take advantage in any way. We honestly don’t know what all the fuss is about. To be completely forthright, there was a cab driver – one cab driver – who did try to take us for a ride. He agreed to use the taxi meter when we got in the car and then spent the first part of our journey laughing at us in the rear view mirror. In the end the whole episode cost us a total of $1.50. And for that amount we got 80% of the way to our destination. It’s not something we’re terribly upset over. Meanwhile, we absolutely adore Hanoi. Its tangled warren of old streets course with the kind of energy that is the lifeblood of great cities everywhere. Cars and scooters and bicycles all vie for position with pedestrians and street vendors in a non-stop rush of commotion that is intoxicating. 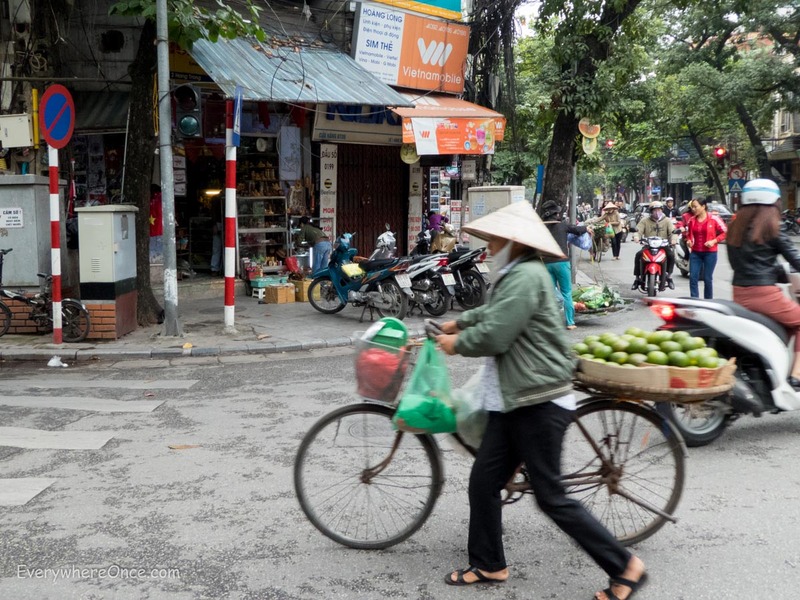 For us Hanoi is a place that is simultaneously familiar and foreign, almost like New York’s West Village in some alternate universe. 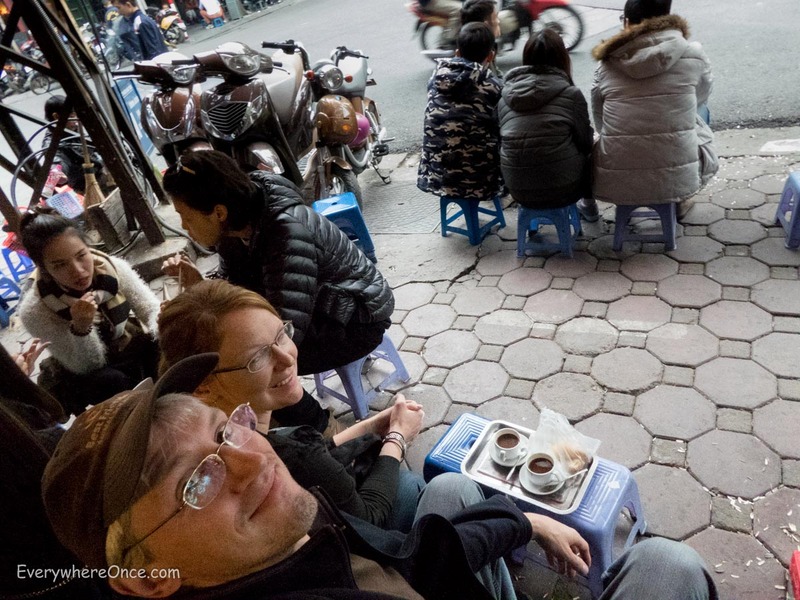 It’s a place where typical western-style sidewalk cafes sit shoulder to shoulder with impromptu establishments bounded only by the reach of the tiny plastic stools that serve as both table and chair. There are regular restaurants with proper kitchens alongside tiny alleys damp from the mist of boiling broth. And brightly lit high-end retail shops decked out in glass and chrome share streets with dim concrete garages piled high with merchandise. It is old and new; chaotic and vaguely orderly; familiar and yet completely foreign. 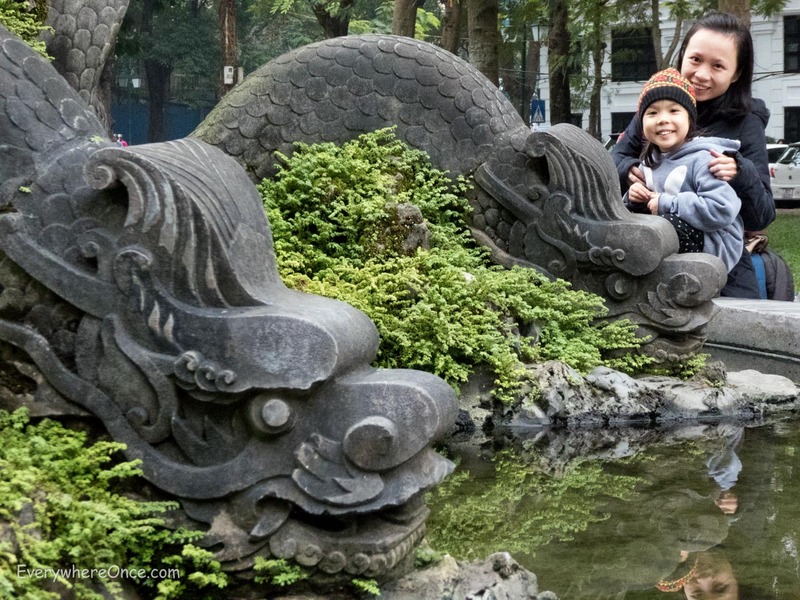 Hanoi is a city of contradictions where every turn begins a new adventure and every street leads to new discoveries. We’re so thankful we took the opportunity to experience it for ourselves. Had we listened to the complaints of others, we may not have. Love your attitude and the comment about the armor – spot on. So glad you are enjoying a country that has so much to offer. Great observations and information. I’m thinking of a little 2015 Christmas trip to Vietnam by myself…which is how I frequently travel…and would have guessed it to be just as you described. Nevertheless always good to hear from someone on the ground. Actually I find this environment to be the case just about everywhere in the world. One thing we’ll probably do differently when we come back is visit in the spring – maybe April. We’ve had two weeks of non-stop rain in the central part of the country which has limited what we’ve wanted to do. The weather is perfect for sitting in cafes with a good book and an excellent cup of coffee, but we were hoping to do a bit more exploring than we’re actually doing. Are you heading down to the southern part of the country? 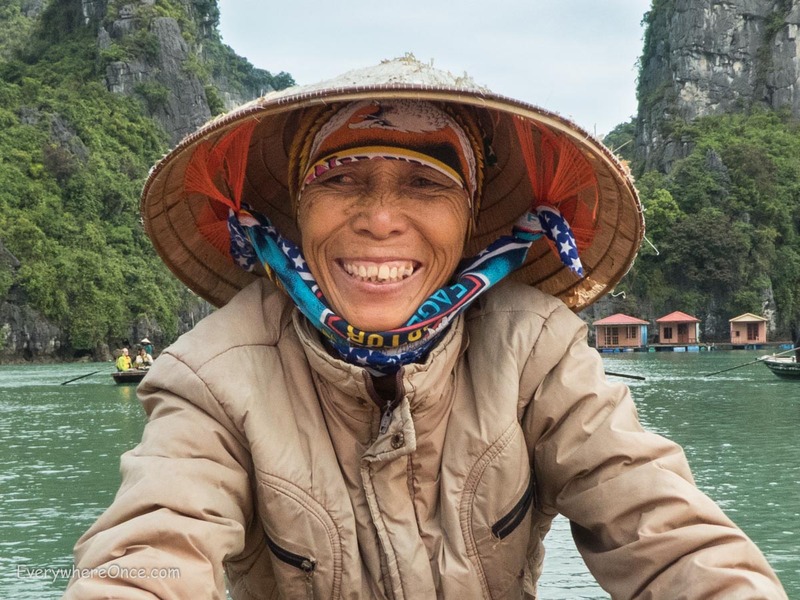 We got to spend 2 fantastic weeks in central and southern Vietnam this year and really want to come back to see Hanoi and areas in the northern part. Would be interested in reading your comparison between the two areas. I visited Ho Chi Minh City a few years ago and I loved it. Everyone I met was friendly, even the street children trying to sell me bookleg books, etc. And I don’t recall ever getting ripped off by anyone. If I did, I didn’t notice it. Thanks for sharing. Interesting. But I wonder, is it really a worthwhile trade to avoid feelings of disappointment if in so doing you also sacrifice feelings of joy? When nothing is either good or bad it seems as if everything would be just blah. Hey Brian, I guess my takeaway wasn’t that literal. It is fundamental that we should experience joy, happiness or sadness, but without bias: ‘seek to see things as they are, and to understand. Be curious as to why things are the way they are, why people act the way they act. Investigate, empathize, try to put yourself in people’s shoes. See the landscape of your life as it actually is, without the filter of judgments or expectations’. That is what resonated with me. Embracing the unknown, (tempered with street smarts 😊) without preconceived ideas provides an enriching experience. That is what you guys found in Vietnam. Love it! Well said. There’s a difference between being alert, savvy and aware as a traveler, versus so worried that you can’t enjoy the experience. Did you overpay for lunch? Probably, in the local context. But not in the bigger picture. Did the cabbie take you for a ride? Yep (but I’ve had a cabbie in NYC do that to me). That’s all part of the travel experience. I’ve been following your blog for a couple of years now, and enjoy the “grown-up” voice you bring to travel blogging. And I appreciate it when you make accommodation recommendations as you did in Chiang Rai and Chiang Mai. Do you post reviews on Trip Advisor or elswhere, and if so, under what screen name? Hi and thanks for following. We’ve been very bad about posting reviews to Tripadvisor or elsewhere. It’s something we really should do but haven’t.